Fats won't make you fat! Oils-do we need them? We know its that "crazy" time of year, so have kept this newsletter relatively short, don't forget we have heaps of things that would make great Christmas gifts, from a luxurious Miessence facial serum or even a gift certificate to a dazzling new Ecotanka. The first topic around oils is important, and I could rabbit on for ages so if you feel you would like more info then just let me know. For now though, let me take this opportunity to thank you all for your support over the year. MERRY CHRISTMAS and a HAPPY, SAFE and PROSPEROUS 2013! How to De-Stress during the silly season. The following was written by Dr James Wilson, perhaps the most well researched physician on the topic of stress, is book "Adrenal Fatigue - The 21st Century Syndrome" is highly recommended. "I’m confident that when you follow my D E - S T R E S S guidelines below for protecting your health from stress, you will notice a real difference in how you feel and function. Is fat bad, is fat good? Over recent years we have been told that fat is bad, fat is good, fat free is the best and on and on. So what do we know about this subject now? It is commonly understood by health professionals around the world that brain and heart disorders resulting from Omega 3 deficiencies are amongst the biggest challenges now and into the future. The cost to our health system from brain and heart diseases is HUGE and will continue to dominate budget blow outs for years to come unless we understand and take control now. Science agrees that to turn our health around, particularly for those of us eating a typical western diet that is too high in Omega 6, we need to increase the levels of Omega 3 within our body. The science also shows that to achieve this change most of us need to be consuming as a MINIMUM of 1000mg Omega 3's every day. So we can do this by having more flax and chia seeds in our food and making sure we consume leafy vegetables and of course the oily, cold water fish such as tuna, herring, sardines, anchovies, salmon, and algae. A concern with some of these things is the factor of toxicity due to a lack of environmental controls over many decades. 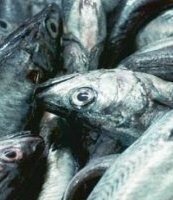 The result is polluted water ways and along with it our fish supply. Supplementation using high quality, pure fish oil is likely to be the safest, most effective way of increasing the level of Omega 3's in your tissue. One of our preferred choices is the locally harvested Hoki Mega 3 fish oil. Why Nuts don't make you fat! Nuts and seeds are an important part of a natural, healthy diet but why don't the majority of us make them part of their day regularly? It seems we are locked into the past regards media hype over the years about fat, fat free and weight loss etc. Yes nuts do contain fats, but they also contain a whole range of other beneficial elements - and guess what, FAT IS NOT THE BAD GUY! You will all be familiar with the term Essential Fatty Acids(EFA"S) this is a term used to described fats that our body NEEDS in order to keep healthy, thats right, if you go on a completely fat free diet - you are heading for disaster. Along with the fat/oil that are in nuts/seeds you are also getting quality proteins and a variety of fibre, a great way to get some of these additional benefits is to add the mix known as LSA to your breakfast - LSA is a mix of ground Linseed, Sunflowerseed and Almonds in a simple 3:2:1 mixture, you can grind it your self or buy it ready made from your health store. Fresh nuts and seeds can offer us so much, sesame is a great source of Calcium(tahini as an alternative to using butter could be good for some) Almonds have plenty of Magnesium - one of the most commonly low minerals on the planet, and then we have Brazil nuts supplying Selenium and so on. A handful of fresh nuts is one of the easiest ways to satisfy hunger pangs when we are looking for a healthy snack to get us by rather than reaching for something sweet or loaded with processed carbohydrates such as any baked goodie. Replacing that muffin or slice of cake at morning or afternoon tea with a selection of nuts could be just the answer to loosing some weight and gaining control over who you want to be like in the future. Remember we need a certain amount of fats in our blood and nuts can help supply this demand. Here is an interesting article that appeared recently in the Sydney Morning Herald that talks a little more about "why nuts don't make you fat". We have been a part of this festival in Whitianga for a couple of years now, and have decided to do it again. If you are in the area between December 28th and January 6th do come along and give yourself a treat. We will be offering a selection of products and services to get you through so you can start the New Year off on the right foot. Here is a video with some beautiful images, give yourself a couple of minutes in this busy time to just chill out and enjoy. Keep Hydrated this Summer with elete! be able to process sugars, protein and fats including cholesterol. It is also important to replace magnesium that has been depleted during times of stress! For many, the silly season is a time of plenty of stress too. The Ecotanka range of high quality stainless steel drink bottles that we have been using for many years have a stylish new look - Coloured Bottles, a variety of colours and they look very smart. While on the topic of Ecotankas, until December 20th we are offering a free Kooler cover with all standard Sports Tankas(800ml). 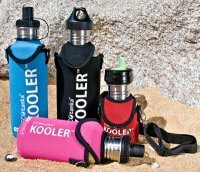 The Kooler Cover is a neoprene cover that the bottle slides into and has a shoulder strap as well. A great gift idea and one of the safest ways to transport clean. safe drinking water. The Kooler covers come in a variety of colours. Black, Camo, Dark Blue, Red, Hot Pink, Peacock, Green, Lime Green, Purple and Gold Clay. When you order your SportsTanka just add into the notes at the bottom which colour you would like and we will include it with your order - saving close to $10! It was out of stock for a while, but now its back and keeping our brains, hearts, joints and eyes healthy again. On on another topic, a little info of a food we have enjoyed for many years but it seems is still largely unknown. As much as brown rice is known to be the healthy grain, there’s one even better, and that’s quinoa. Quinoa is actually a seed, but don't get hung up on semantics. Quinoa is a gluten free seed that contains double the protein of brown rice along with greater fiber content and a lower glycemic index. Quinoa is the ONLY grain/seed to contain complete protein and the full spectrum of amino acids. It comes in several forms, including “oatmeal-like” flakes, wholegrain and fine ground. It becomes Jelly like when soaked in water, but this actually helps to absorb and transport toxins from the gut...its a gut friendly mucilage. Sprinkle the ground quinoa on anything, it is almost top of the list for nutrition, its another one of those ancient foods that is rated as a "Superfood", so if you haven't tried it yet, now is probably a good time to start adding it into your shopping cart. DEALS of the MONTH:This month we have a BIG range of deals to take you up to Christmas and beyond. The BEST buy for my money would be an hours massage with Andy. Are you stressed with the lead up to Christmas? Grab a 1 hour massage. Offer ends Friday 7th December 2012 at 5.00pm. This is a one off deal and you will need to act fast. The bodywork and other techniques that she uses are often described in this way.... "its just so much more than a massage.....restorative.....rebalancing". And the benefits for you will be many fold. You will feel better, more focused, sleep better and sooo much more. So go on, pick up the phone and do it, make a booking NOW! CONDITIONS: Limit 1 for you and 1 for a friend, who is not currently a customer. Close out dates 24th December to 14th January 2013, no refunds, no cash back, must be used in one visit. Must be used by the 31st of January 2013. As usual, the products mentioned in the newsletter have $$$ OFF for December, so just click through to place your order and take advantage of the discounts on Dr Wilsons Adrenal Fatigue Book, Elete Electrolyte liquid, Hoki Mega3 fish oil and EcoTankas.